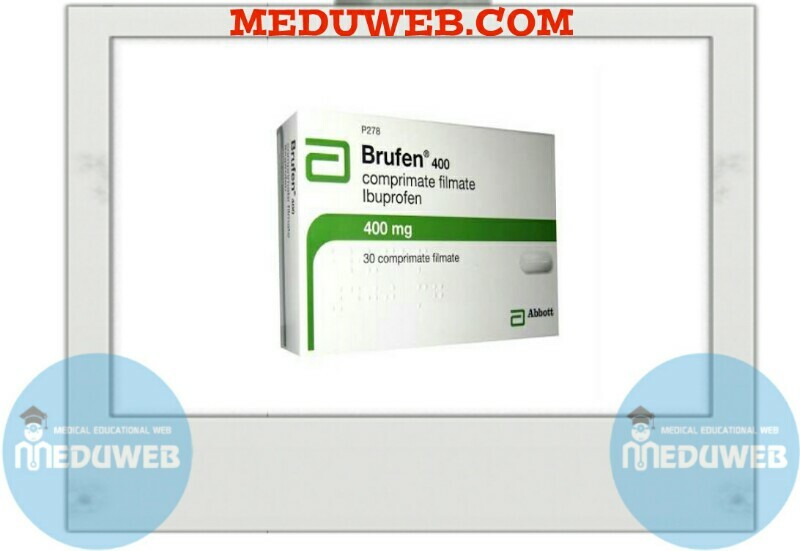 lbuprofen is a member 0f the propionic acid group of nonsteroidal anti-inflammatory drugs (NSAIDs). is a propionic acid derivative with analgesic. anti-inflammatory and anti·pyretic activity. The drug’s therapeutic effects are thought to result its inhibitory effect on the enzyme cydooxygenase. which results in a marked reduction in synthesis. shoulder, bursitis, lendiriIis, tenosynovitis and low – back pain. – The recommended dose is 1200 to 1800 mg per day in divided doses. 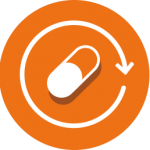 – Some patients can be maintained on 600 10 1200 mg/day. – Daily dose should not exceed 2400 mg in divided doses. – Daily dose of ibuprofen is 20 mg/ kg body weight in divided doses. NB: Bfufenibuprofen is not recommended for children weight less than 7 kg ibuprofen 800, slow release ibuprofen and Ibuprofen granules are not suitable for children under the age 01 12 years. In Juvenile rheumatoid arthritis. up to 40 mg/kg body weight per day in divided doses may be taken. NSAIDs may cause an increased risk of serious cardiovascular thrombotic events myocardial infarction, and stroke, which can be fatal this risk may increase with duration of use. NSAIDs cause an increased risk of serious gastrointestinal adverse events Inctuding inflammation, bleeding, ulceration,and perforetion of the stomach or Intestines, which can be fatel these events, can occur at eny time during use and without warning symptoms. Elderly petients are at risk for serious gastrointestinal events. Undesirable effects may be minimized by Using the lowest effective dose 101 the shortost duration necessary In control symptoms (see DOSAGE AND ADMINtSTAATION). As with other NSADIS. Bfulen may mask the signs of Illtection. Geriatric Use: Elderly patients have an increased frequency of adverse reactions to NSAIDs. especiaIly gastrointestinal bleeding and perforation, with may be fatal. gastrointestinal bleeding, ulceration and perforation lbuprofen should be given with care to patients with a history of peptic ulceration and other gastrointestinal disease since their conditions may be exacerbate Gastrointestinal bleeding.